She’s the POP Company’s CEO, creative director, designer, seamstress… heck, she does it all from her cozy workshop in Birch Harbor, Maine. She was born in Argentina, raised in New Hampshire, and spent quite a bit of time with her mother’s family in NYC – which sparked her passion for the arts. She dabbles in silversmithing, stained glass, knitting, photography, and design. But it was her sewing skills and business savvy (she’s owned two successful hair salons) that helped her build POP. 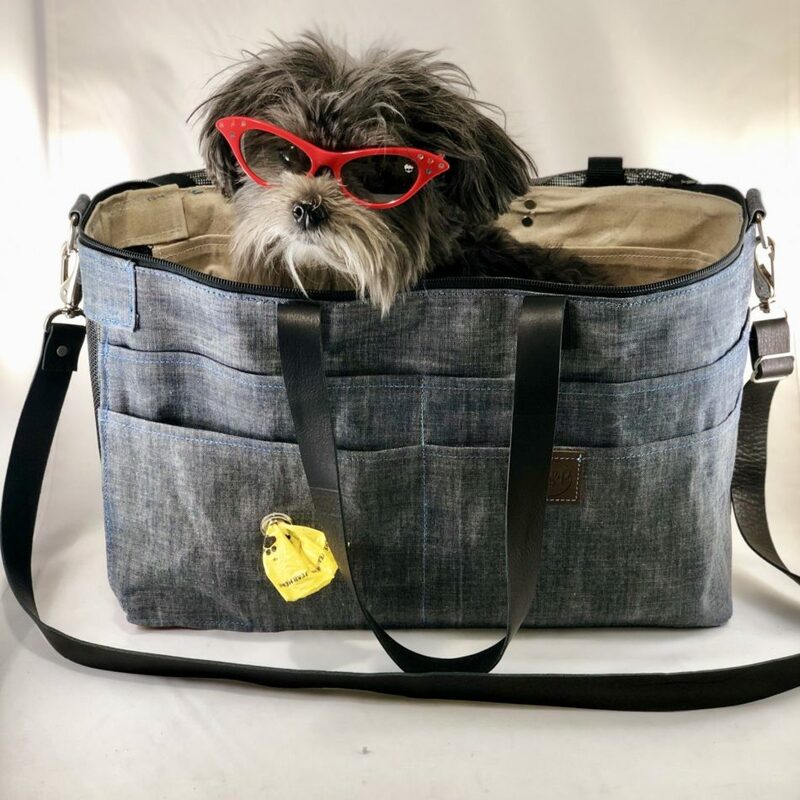 Liza’s Morkie (Maltese and Yorkie) Harley inspired her to create her original Purse of Pockets. 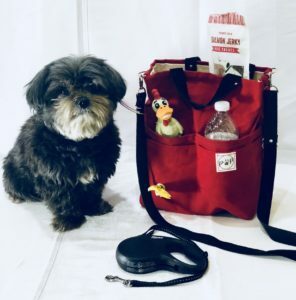 Harley is a therapy dog and the two often travel to visit hospitals and nursing homes. Liza was frustrated by juggling two bags along on every trip. 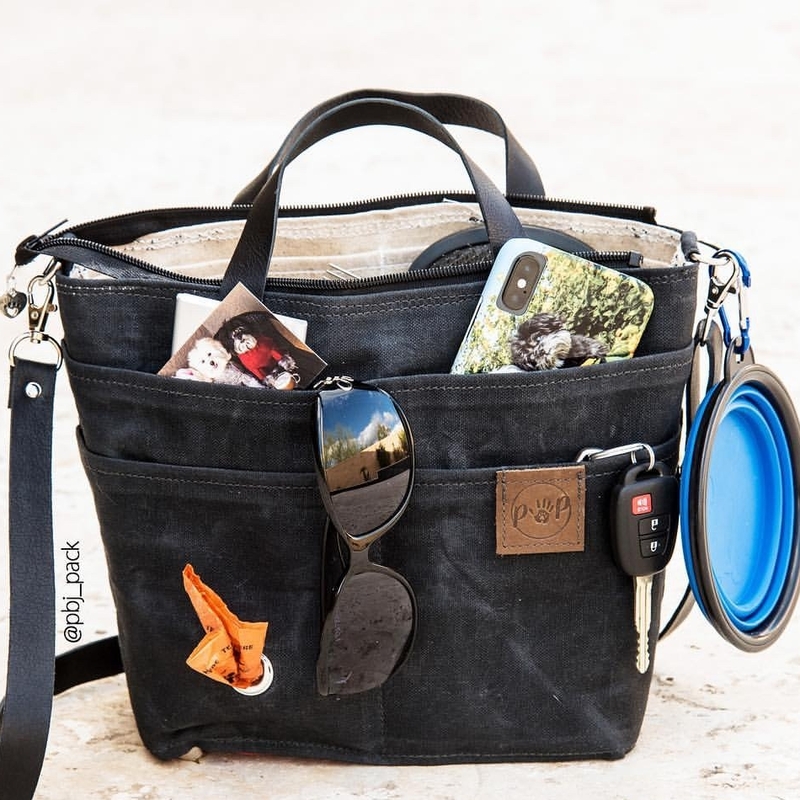 What if… she thought, What if I had one bag that could hold it all – separated by pockets, so I didn’t have to root around trying to find the poopie bags, treats, and my car keys? God, I’m brilliant. She really is. Her friends thought so, too. Liza suddenly had a business on her hands. And here she is, working on another gorgeous creation for you!